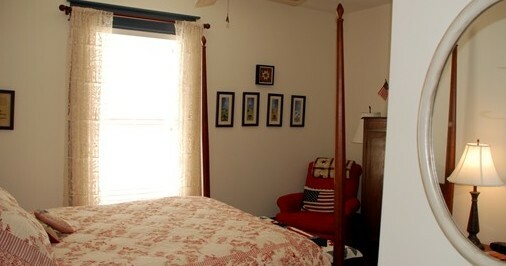 The Liberty Room has a Colonial feel with the historically colored red, white and blue deccor. It is enhanced by a reproduction of an old wood burning fireplace. Have “sweet dreams” in this pillow-top queen bed and private bath with shower.